Reboots, remakes and revivals are not a new thing, but they appear to be enjoying a resurgence in the worlds of film and television. From "The X-Files" and "Roseanne" to "Star Wars" and "Beauty and the Beast," fans are seeing an increasing number of familiar faces and franchises on both the big and small screen. So what's driving this uptick? ABC News spoke to film and TV experts in both media to find out. Are there more remakes than even before, or are they just being advertised more? While the answer for TV seems somewhat clear, movies are a little more nebulous. The ever-growing presence of reboots and remakes in film is a mix of branding, safety-conscious studios and quality work based on older ideas but with new faces. First off, it's important to define what's a remake, a reboot and a revival. A remake is an older story line with fresher faces, like last year's "Magnificent Seven." A reboot can have familiar characters but a new story line, like "Star Wars: Episode VII — The Force Awakens." 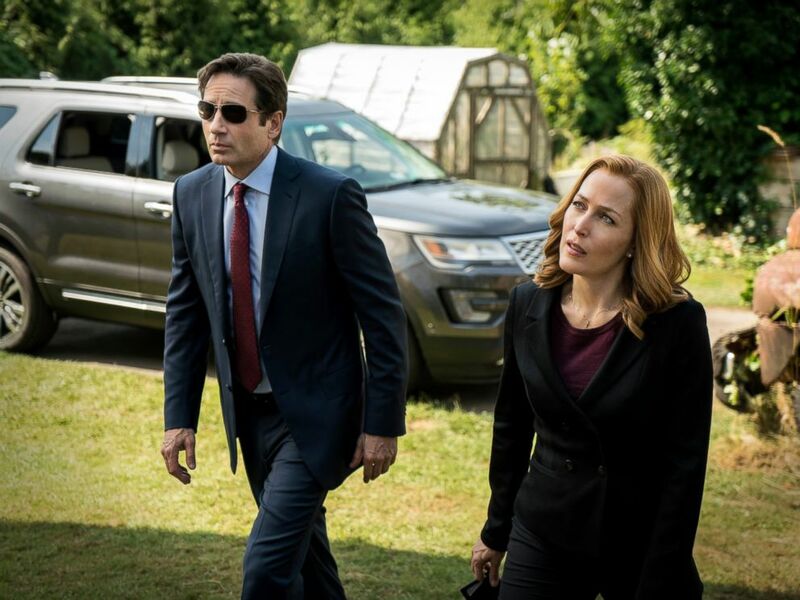 A revival is mainly for TV and brings back the main cast of a show for a new run years after its original run, like "X-Files." It's also important to know and understand exactly what is at the heart of all this: intellectual property. Intellectual property, or IP, is any storyline, franchise or character that a studio or production company owns — often familiar from years ago. IP can also be scripts and adaptations of books, something successful that can be adapted into a film or TV show. "Risk aversion has really paid off, and studios and production companies have noticed this," said Walt Hickey, a pop culture expert at FiveThirtyEight. "Recently the industry has seen a solid string of success born out of rebooting or upgrading content from the past. This is a risk-averse strategy. You bank on content where people already have a sense of the characters, they have a sense of what the plot is, what the story is." 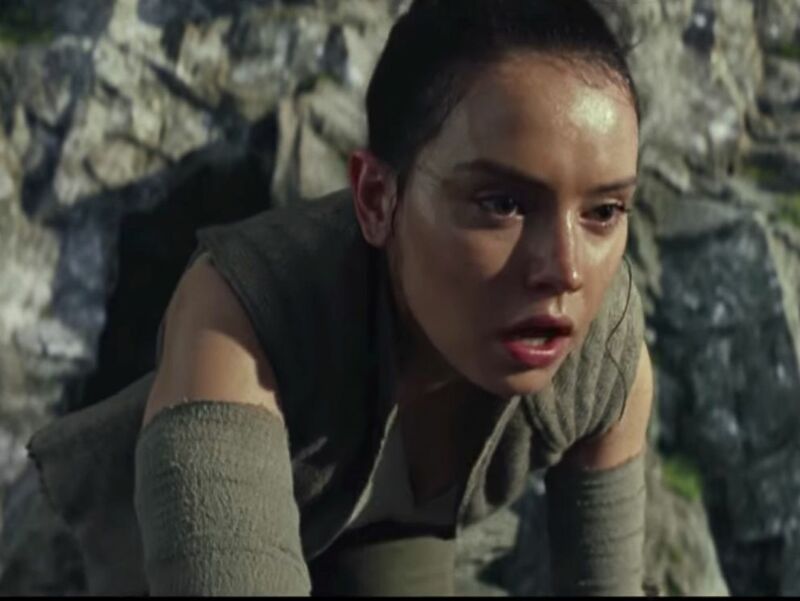 Daisy Ridley, as Rey, in a scene from "Star Wars: The Last Jedi." On this mitigation of risk, Deadline's film editor Anita Busch agrees with Hickey. "They already know these brands, and these combinations have worked on one generation and, if written properly, will work again," Busch told ABC News. "It's why movie sequels really began. Tried and true and lessens the risk, as these companies are very risk averse and with millions of dollars being spent." Hickey points out that studios are asking something of people to see a movie: time and money. According to Box Office Mojo, the average price of a movie ticket in the U.S. over the past decade has increased from $6.88 to $8.84 — an almost 30 percent jump. Aside from familiarity, few things are needed to make rebooted IP critically or financially successful — big name actors, a new take on the work or just a fun, nostalgic experience (like "Jurassic World"). "You can take the greatest success of 1987 and reboot it, but you have to do a good job of it," he said. "You can buy an opening weekend. You can spend enough money on advertising to have a crazy opening weekend. But you can't buy a second weekend." Are there really more reboots and remakes today in TV and film? 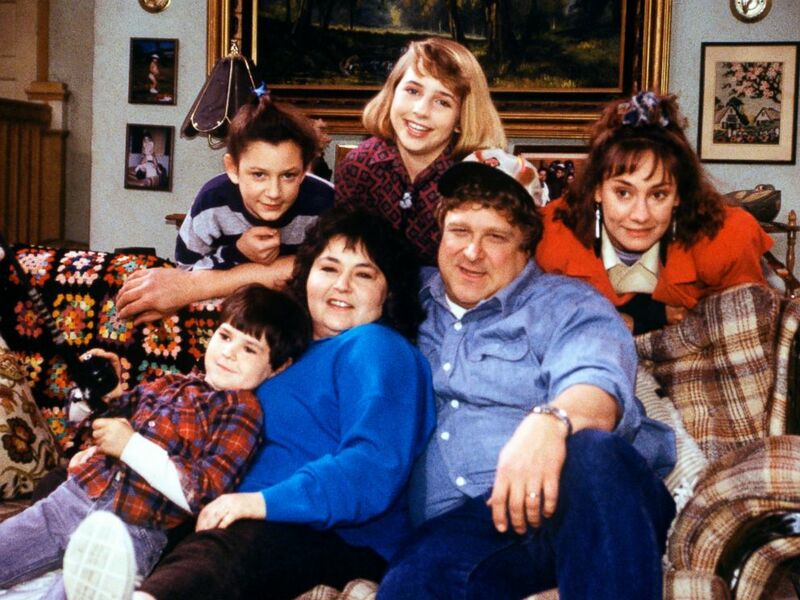 Hickey said, "Yes and no," adding that overall, while new takes on old ideas are more prevalent, studios are also happier now to recast a part and call it a reboot. The advertising of such a thing is more prominent than it was in the past. Before Daniel Craig's James Bond, 007 wasn't rebooted; the producers just recast the actor. Ditto for Val Kilmer and George Clooney as Batman. 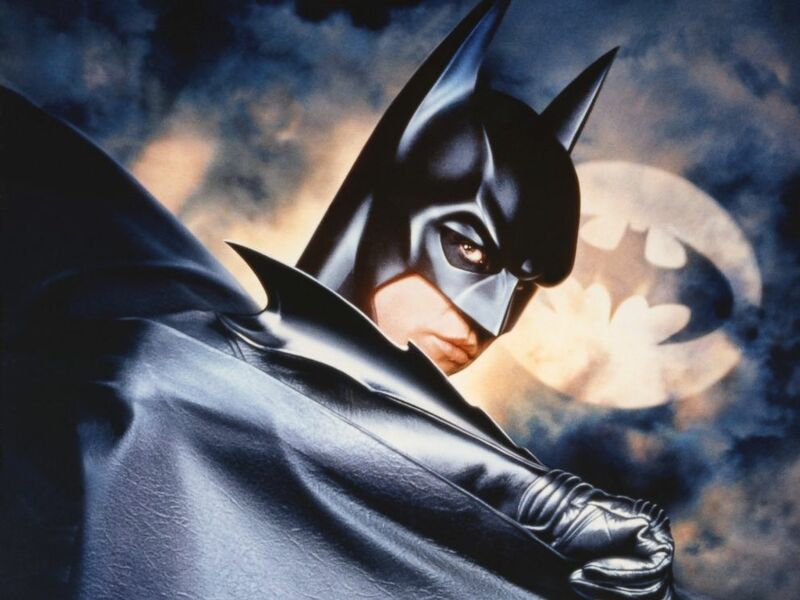 "How many different Batmen did we have in the '90s?" Hickey asked. "Just that we are willing now to advertise something as a reboot doesn't mean we've never made reboots before." Actor Val Kilmer stars in Batman Forever, 1995. "People are worried about spending millions on a movie that does not already have a dedicated audience," he added. "'Baywatch' is an example of a fundamental reboot. It's got Dwayne 'the Rock' Johnson, currently the highest-paid actor in the world. He's an absolutely compelling man. He's one chunk of this movie, the other chunk is selling 'Baywatch.' There's a lot of different reasons people show up to movies, but you want to maximize the reasons people go to your movie." Busch said that IP can combine not just different swaths of fans, depending on the stars and the story, but also different age groups. "If it works on a younger demo, you have the best of both worlds," she said, "as it's already proven itself with what is now an older generation ... so you then get the wide berth of demographics in your audience." As with films, TV networks are also using old IP to sell shows, just with a few differences. The current trend on TV isn't just taking a story and recasting its star or taking a successful book and adapting it into a movie; the most recent trend is the revival, bringing back a cast people know and love for a new run. Jason Lynch, AdWeek's TV guru, thinks the concept of reusing a storyline or a character is not new but bringing back a whole group of people for new seasons is. "With so much TV right now, it'll be easier to break through if it is a based on a property or a brand audiences are familiar with," he said. "A year or two ago, the bigger trend was to turn a bunch of movies into TV shows. You had 'Limitless' and 'Minority Report.' Those weren't quite as successful." These revivals are different from what fans previously saw with one-off reunions. These are full seasons now, which is what both audiences and networks prefer, Lynch said. "This was really spurred by the success of 'X-Files' last season" he added. "That show was the No. 3 entertainment show in the 18-to-49-year-old demographic that advertisers care most about. What Fox was able to do in that case was not only bring back fans of the original show when it was on the air, but there had been a new group of fans who had just discovered the old episodes on Netflix." David Duchovny and Gillian Anderson in a scene on "The X-Files," in this undated file photo. He added that advertisers love the fact that some of "the heavy lifting is done for you already. You don't need to sell audiences on what 'Will & Grace' is, even if you didn't watch the show. You are aware it existed and have a general idea of what it's about." This kind of success is the sweet spot for a TV network — getting different generations to watch a new show with the help of streaming or video on demand. Lynch said an attempt at a hybrid revival-reboot that didn't work, in contrast, was "Heroes" a few years back. That show brought back only a few original cast members, and it didn't last too long because of that. "The lesson there is you need to bring everybody back or almost everybody," he said. He said only time will tell how "Twin Peaks" and "Will & Grace" do when they return and he's less optimistic about "Roseanne" and "American Idol," given that fans can't exactly binge-watch the sitcom starring Roseanne Barr (there are some old episodes on TV Land, but they aren't pervasive) and the original judges from "Idol" may not be coming back. Simon Cowell said he won't be on board. Just because there are more reboots, revivals and remakes doesn't mean they always work. Take "King Arthur: Legend of the Sword," which opened a few weeks ago and made only $34 million domestically but cost $175 million to make. "You kind of know the tales of 'King Arthur and His Knights of the Round Table,' but for this movie, they were asking fans to opt into something new," Hickey said. "For whatever reason, it didn't click." He said "Baywatch" can also fit into that category, having grossed only $27 million domestically after opening late last week. 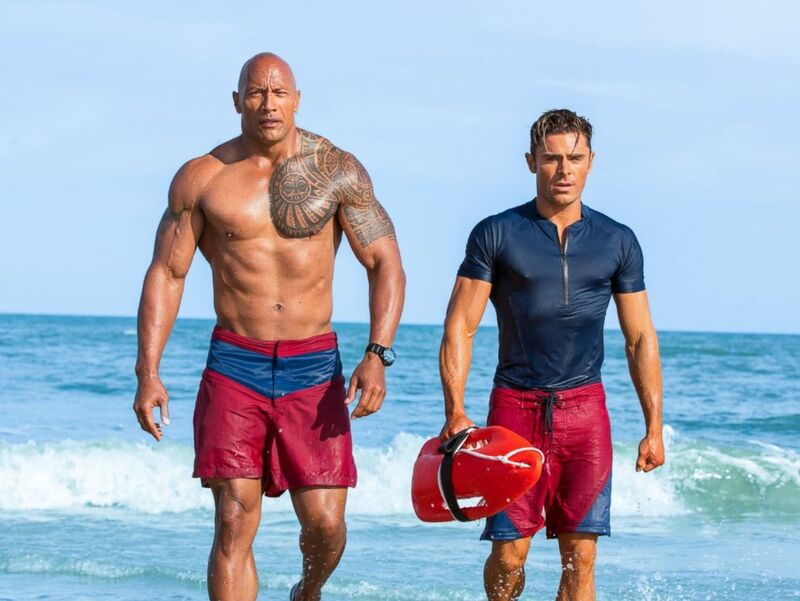 Dwayne Johnson and Zac Efron in a scene from the movie, "Baywatch," 2017. "Last year, you would think it was a crazy good year for reboots," Hickey said, citing movies like "The Jungle Book," which did bananas at the box office ($966 million worldwide). "You would think they all did well. Wrong. There was 'Fantastic Four.' You don't remember the bad movies that came out, because they were bad." And remember the 2000s trend of rebooting film franchises with origin stories, which included famous characters like James Bond and Batman. Hickey said that is beyond out of fashion now and was one of the issues critics had with "Batman v Superman" last year. "I think there's a reason why they are not going to pen 'Spider-Man Homecoming' with Uncle Ben's death. Comic books are a long running tale, essentially. There have been hundreds of Spider-Man adventures, and in only one of them Uncle Ben died," he said. "It's iconic — don't get me wrong — but we know how this story goes down," he said. When it comes to theaters and movies, there are a couple of ways of approaching it. "The big summer blockbusters are going to be one of two things — a vehicle for an actor or director, or they are based off intellectual property," Hickey said. "While that's longtime been the case, it hasn't always been the way. The idea is that Steven Spielberg, when he was still somewhat of a nobody, could make 'Jaws' and own the summer blockbuster, that's a thing of the past." Think about a big breakout hit like this year's "Get Out," which was directed by Jordan Peele and came out in February for a reason. The winner for best picture at the 2017 Oscars, "Moonlight," came out in November, away from the summer rush, and it still banked only $27 million domestically. 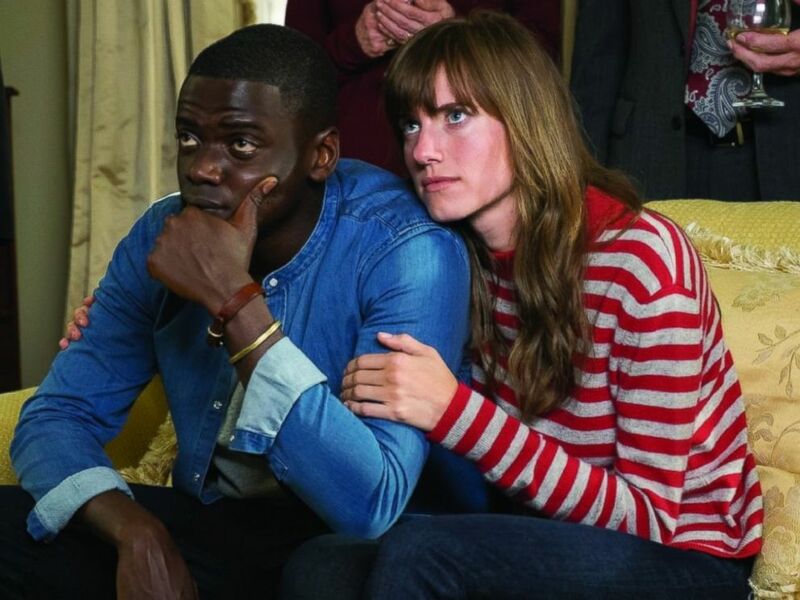 Daniel Kaluuya and Allison Williams in the movie "Get Out," 2017. What do truly original projects with no famous ties do? "If you want original stuff in the cinema, wait till the fall. If you want it in the summer, buy a book, go to HBO. You're not going to find it in the cinema" Hickey said. As for TV, it's still all about "finding your way in an unknown world," said Dominic Patten, the chief TV critic for Deadline. But that's not limited to revivals. There's a hybrid emerging that he thinks is a good thing, a way some writers are using IP to create something new. In shows like "The Leftovers" and "American Gods," the showrunners have gone beyond the source books, which Patten thinks is creating some brilliant work. The later seasons of "The Leftovers" are a "triumph," he said, "some of the best TV I've seen in years," and "American Gods" is an "amazing tapestry of mythology, drama and some of the most eye-popping aesthetics you'll see anywhere." "Game of Thrones" has also gone past the George R.R. Martin source books for its final seasons, since he hasn't released his new volume yet. With studios and networks owning so much IP, expect to see more revivals and nostalgic content, for better or worse. While networks have originality in mind, Patten said, the list of creative, one-of-a-kind pilots that never got picked up is never ending. "Everyone is trying to find a way to break through the clutter," he said. "Originality is a great mantra that almost nobody believes in. You therefore find people taking strong elements of other properties, other shows, other movies and finding a way to bring them back to life."